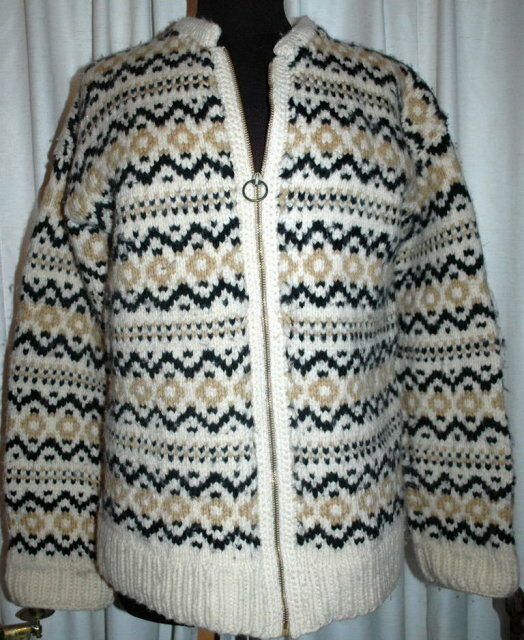 Vintage Hand Knit Scandinavian Zip Up an Sweater Medium Cardigan. 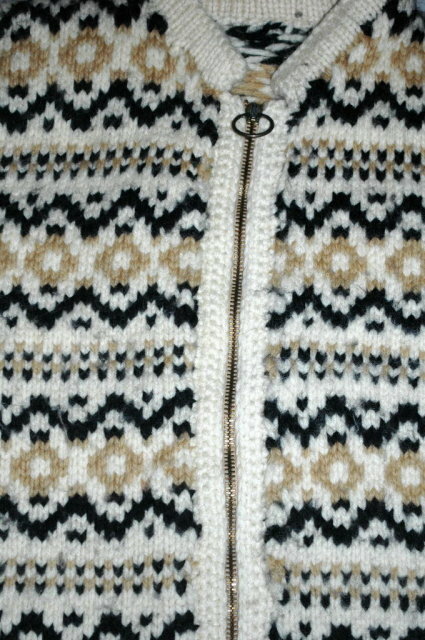 It has a brass zipper with a ring zipper pull. 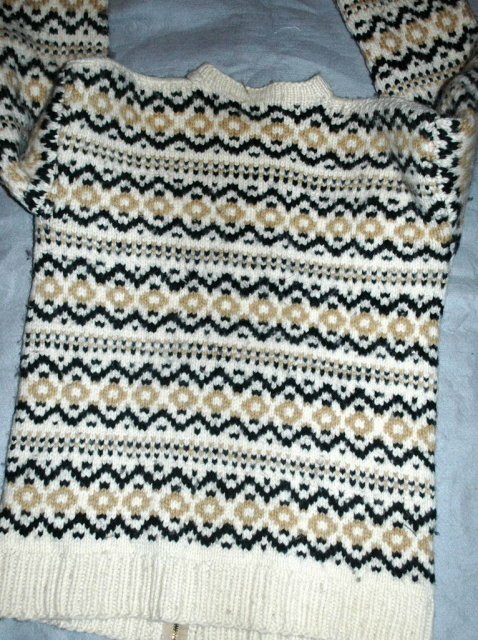 The colors are gold, brown gray on creamy white background. The wool very thick, dense and the weave is tight. The condition is very good. It is vintage but appears to be clean with the exception of some soiling on the end of the cuffs. 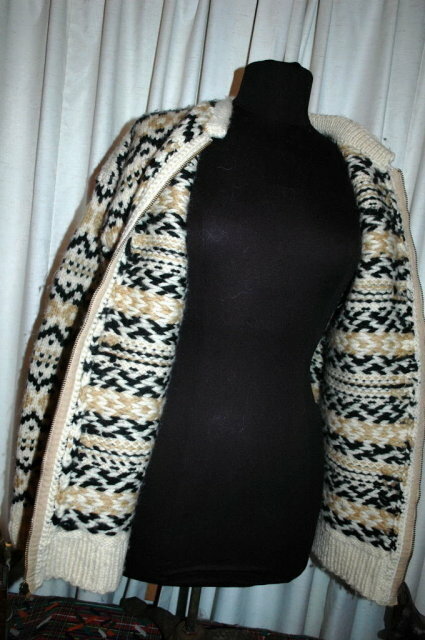 The length from should to hem:.....26.5"The measurement from shoulder to shoulder:.....22"
Items Similar To "Vintage Hand Knit Scandinavian Zip Up an Sweater Medium Cardigan"